Christmas is upon us and everyone is gearing up for their Christmas break. This is traditionally the time of the year that people pack up and go on the road (or air) for a well earned break. Thousands of people will be clogging the country airports and cruise ship terminals heading for a bit of sun and relaxation. All of this combined is a great reason to consider giving your customer’s a custom printed luggage strap for Christmas. Luggage straps are a great travel accessories. They keep the luggage secure and sturdy while at the same time making them recognisable coming around the luggage belt. There is nothing worse then trying to spot your bags in amongst a sea other bags. 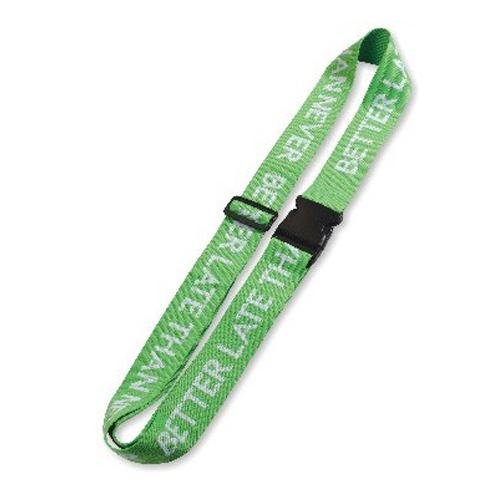 A custom printed luggage strap is the answer. So if you are thinking of the idea promotional gift this Christmas look no further than a custom printed luggage strap.